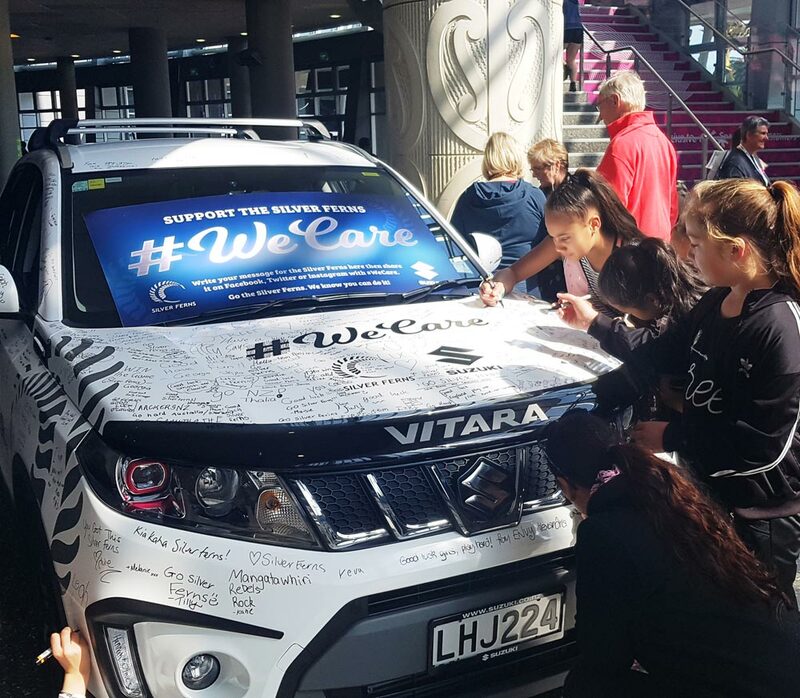 Supporters of NZ Netball and the Silver Ferns. The Silver Ferns had been through a rough period on the court, and were going into their last international series before the World Cup in July the following year. To get behind the team, and give them a moral boost, Suzuki wanted to create a positive forum for fans to show their support. 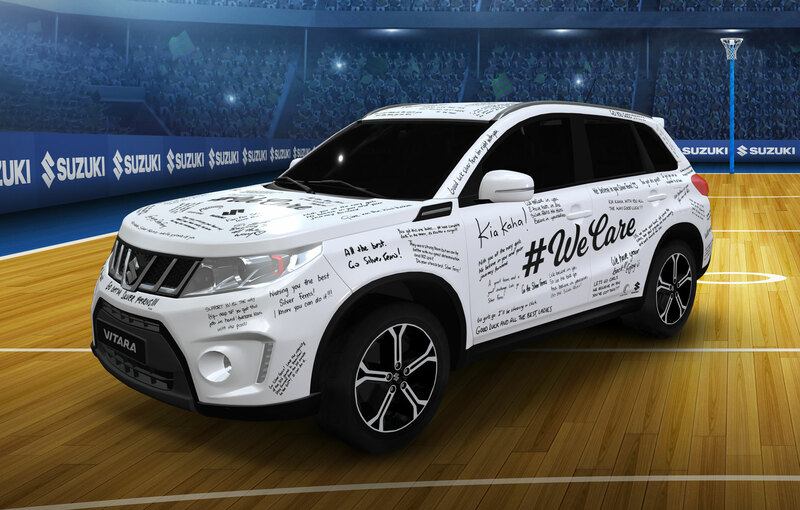 While a clear-wrapped ‘real’ Vitara was taken to games for fans to sign, and social posts using the hashtag #WeCare were encouraged, Suzuki also wanted to reach those that couldn’t make it to one of the games. So we developed the ‘Virtual Vitara’. 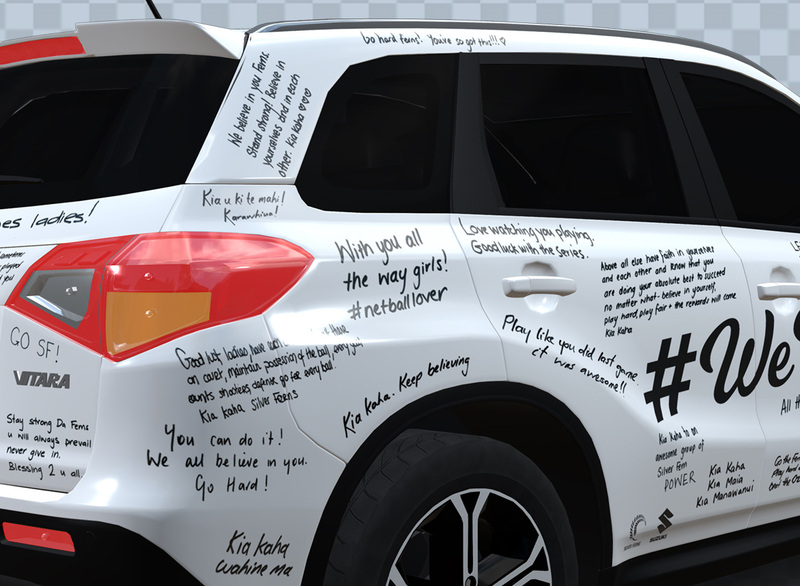 An interactive, 3D Vitara was created, and added to the Suzuki website where the public could submit their messages of support no matter where they were. Submissions were vetted, and then added to the car. Entrants were notified by email once this had happened so that they could return to the site to see it. 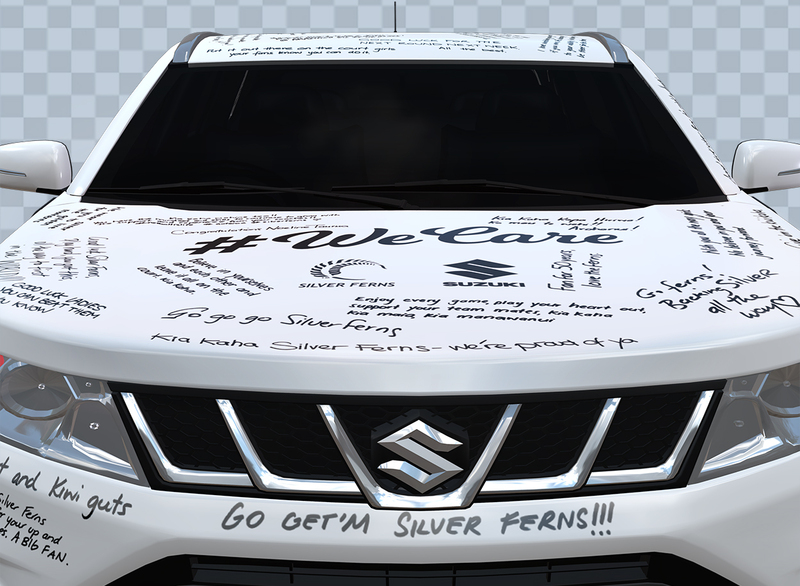 The result was a fun, interactive, and sharable virtual platform, for people to show their support to a much loved sports team, and the Ferns were delighted to see all the good-wishes. There were 1200 visits to the website, and we completely filled two ‘real’ Vitaras, and one ‘Virtual’. 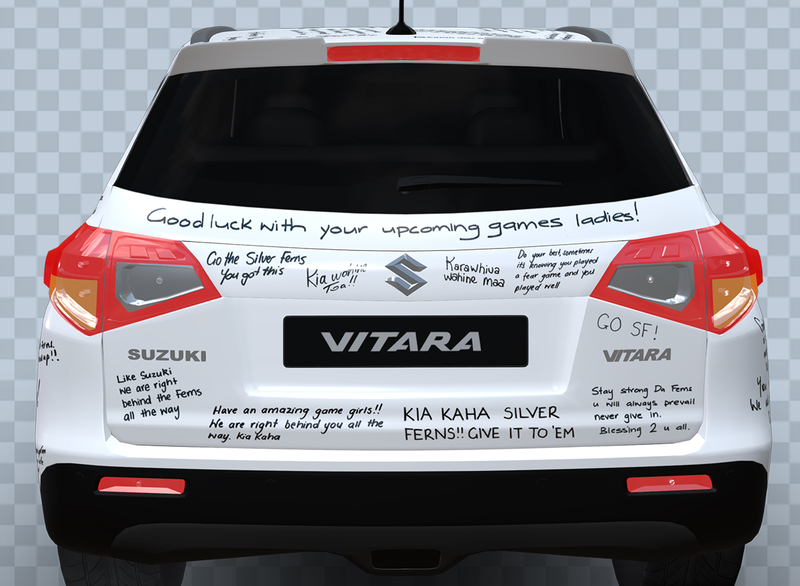 The campaign has now finished, but you can still see the Virtual Vitara here.